Hey! You know that that awful Twitter account run by the president? Yeah, the incredibly ominous one that’s managed to overshadow even the day-to-day chaos of his administration and might one day lead us to nuclear war? The one he used to thirstily neg North Korean dictator Kim Jong Un this weekend, for some reason? 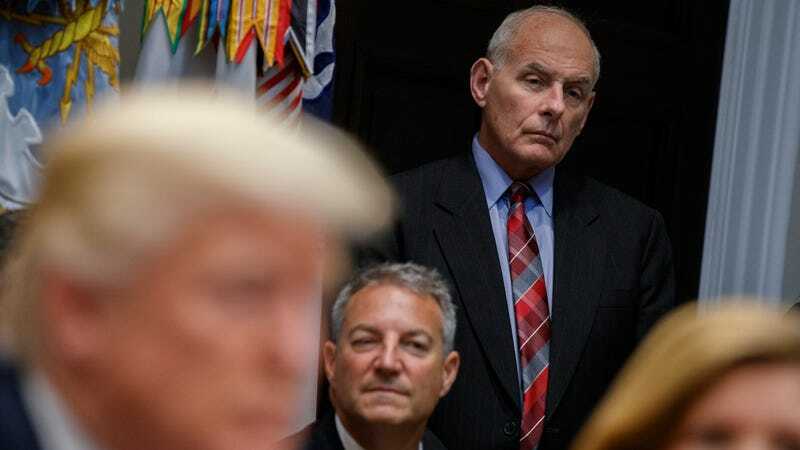 White House Chief of Staff John Kelly just ignores it, he told reporters on Sunday. “They are what they are,” Kelly concluded, before saying the White House develops policy in the “normal traditional staff way” rather than via presidential Twitter decree. Not paying attention to Donald Trump’s tweets is a luxury all of us wish we could indulge in more often! But the White House has been clear whatever he posts constitutes official statements. So perhaps Kelly could come back on down to reality town, where there are real consequences whenever the guy decides to take his 280 characters out for a spin.